France and Austria lost their top AAA credit ratings on Friday (13 January) as seven other eurozone countries were also downgraded by US-based ratings agency Standard & Poor's (S&P). The move was described by European leaders as "political" and "inconsistent", and China claimed the move cast doubt on the credibility of credit ratings agencies. France and Austria were nudged down one notch by S&P, to AA+, but retain top ratings from the other two main agencies, Moody's and Fitch. Two notches were struck from the ratings of Italy (to BBB+), Spain (to A), Cyprus (to BB+) and Portugal (to BB), whilst Germany kept its AAA rating with a stable outlook. One notch was knocked from Malta (to A-), Slovakia (to A) and Slovenia (to A+). Rumours of S&P's move prompted stock market volatility earlier in the day, but there was some stabilisation before markets closed. S&P cited Austria's economic exposure to recession-struck Italy, and banking exposure to debt-riddled Hungary, as reasons for the downgrade. But the head of Austria's central bank – Ewald Nowotny – described the move to downgrade so many countries in the eurozone simultaneously as "clearly political", a sentiment echoed by the country's finance minister, Maria Fekter. “Today's rating actions are primarily driven by our assessment that the policy initiatives that have been taken by European policymakers in recent weeks may be insufficient to fully address ongoing systemic stresses in the eurozone,” S&P said in its statement. The agency said the plan currently being discussed by eurozone leaders – to limit governments' future borrowing – was based on a misdiagnosis of the cause of the financial crisis. It said the crisis was more to do with trade deficits and a loss of competitiveness by "periphery" eurozone economies such as Italy and Spain, than excess borrowing by governments. “If the agency downgrades France, it should also downgrade Britain in order to be consistent”, Fuchs said. “It's not good news, but it's not a catastrophe,” French Finance Minister François Baroin said following emergency talks called by President Nicolas Sarkozy with the prime minister and other key ministers. China also condemned the S&P decision. The Xinhua news agency, which often represents the government's official view, said in a commentary: "The Standard and Poor's (S&P) downgrade move, though containing some legitimate concerns, also raised fresh doubts over the credibility of ratings agencies." "As the crisis is showing tentative signs of receding, the S&P's overwhelming downgrade has once again weighed on the market and dented investors' confidence," Xinhua said. The downgrades – especially of Austria and France – will put pressure on the European Financial Stability Facility (EFSF), which has already been used to rescue Portugal and the Irish Republic. The EFSF is guaranteed by the eurozone governments, and therefore relies on their credit worthiness. In a statement, Standard & Poor's explained the reason behind its decision, saying the response to the crisis by European leaders was based on "only a partial recognition of the source of the crisis: that the current financial turmoil stems primarily from fiscal profligacy at the periphery of the eurozone." "In our view, however, the financial problems facing the eurozone are as much a consequence of rising external imbalances and divergences in competitiveness between the eurozone's core and the so-called 'periphery'. As such, we believe that a reform process based on a pillar of fiscal austerity alone risks becoming self-defeating, as domestic demand falls in line with consumers' rising concerns about job security and disposable incomes, eroding national tax revenues." In Germany - whose top AAA rating survived unscathed - Chancellor Angela Merkel said the downgrades underlined why a so-called 'fiscal compact' must be signed by member states quickly, and the next bailout mechanism, known as the ESM, should be funded soon. "We are now challenged to implement the fiscal compact even quicker ... and to do it resolutely, not to try to soften it," she said at a meeting of her conservative Christian Democrats (CDU) in the northern city of Kiel. "We will also work particularly to implement the permanent stability mechanism, the ESM, so soon as possible – this is important regarding investor trust." Spain's finance minister was more alarmed. "The downgrade is far too broad, it effects too many countries, it effects the very credibility of the euro," Treasury Minister Cristóbal Montoro said in a radio interview. "It's important that the European institutions understand that it's time to do everything possible to build and reinforce the euro," said Montoro, whose highly indebted country has the highest unemployment level in the euro zone. European Central Bank policymaker Jörg Asmussen warned that Europe's drive to tighten fiscal rules was being softened, considering the latest draft of the agreement a "substantial watering down" of budgetary discipline because it would allow extra spending in extraordinary circumstances, the Financial Times Deutschland reported. Austria, which was downgraded one notch from AAA, called S&P's decision a wake-up call for the country to cut debt and deficits, and for Europe to move more quickly on reforms. "The downgrade is bad news for Austria but it should wake everyone up when such a thing happens," Finance Minister Maria Fekter said. "Now everyone recognises that this ... is a matter of debt and deficits, not primarily of the economy." ECB policymaker Ewald Nowotny, an Austrian who heads the country's central bank, said Italy in particular would now face problems given large refinancing needs this year in that country and its banks. Asked in an interview broadcast by Austrian radio if Italy – now rated at the same BBB+ level as Kazakhstan – was "problem child number one," Nowotny agreed. "In a certain sense, yes, because we know this year Italy has a very significant refinancing need. Italian banks also need refinancing," he said. "In normal times this is all possible, in very nervous and difficult times it can be a problem and in my view this sharp downgrade of Italy is probably one of the most difficult and problematic aspects of this sweeping blow from the ratings agency." In the European Parliament, liberal leader Guy Verhofstadt said EU heads of state should heed Standard and Poor’s eurozone assessment rather than blindly reject it. "I am no fan of rating agencies, but it does seem clear that they are simply describing the lack of political courage and leadership required to find a solution. They should not take all the blame for their sharp and critical assessment of the politicians’ failures. Rather European politicians should read the assessments and start putting their recommendations into effect." Michel Barnier, EU internal market commissioner, said he was "surprised" by S&P's decision but downplayed its significance saying it was "one opinion amongst others". In his view, the downgrade "does not take account the actual progress" made by various European institutions to tackle the crisis. Credit ratings are used by banks and investors to decide how much money to lend to particular borrowers. The assessment given to debts and borrowers by a ratings agency is based on several factors, including the ability of the debtor to repay. 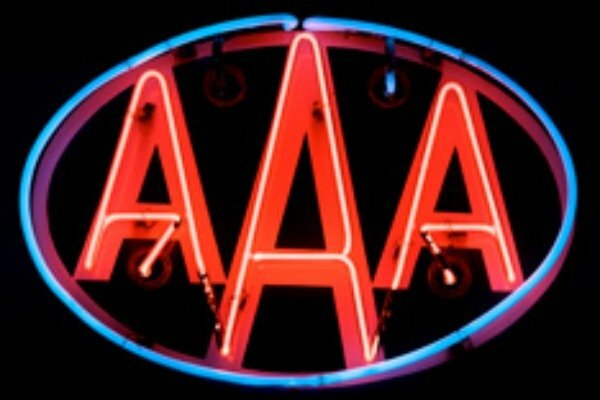 Ratings range from AAA, the safest, down to D, a company that has already defaulted. Ratings of BBB- or higher are considered "investment grade". Below that level, they are considered "speculative grade". Although the move has been widely expected, it is still likely to make it somewhat more difficult and expensive for borrowers from those countries to raise money, including for the governments themselves.